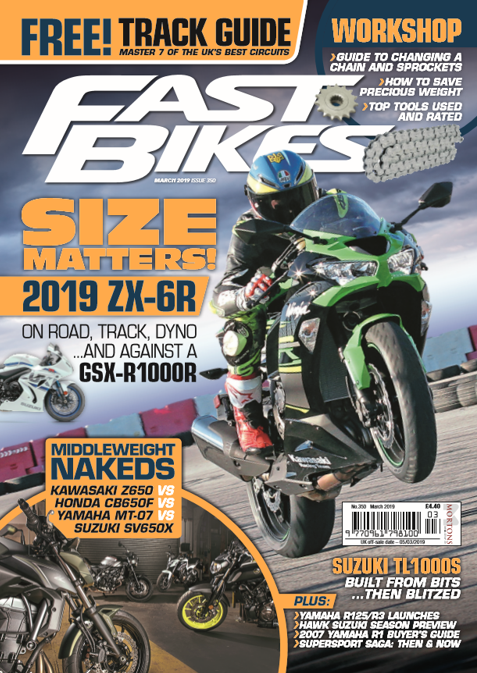 The very best bikes from each engine configuration go head-to-head against their ancestors – it’s the ultimate New v Used test: 07 YZF-R1 v 09 YZF-R1, RSV4 Factory v RSV1000R, 07 Fireblade v 09 Fireblade, 999 vs 1198. Ducati release a baby brother for the Hypermotard – the 796 – and it’s a belter. Triumph give the Rocket III a bit more of an aggressive stance. Our boy Fagan delves into the world of lubrication – not for the first time – to see just what the golden stuff does for your motor. Moby and A-Force go back to school to learn how to be faster, smoother, and safer on the road. Forget the fluro-jacketed wannabe copper stereotypes, this is all about getting more out of your bike, and yourself. We take a close-up look at the new BMW superbike, in readiness for the launch in the next issue. Previous Post:FB Gear: Fast Bikes T-shirts & Hoodies! Next Post:No Budget Cup: What's it all about?